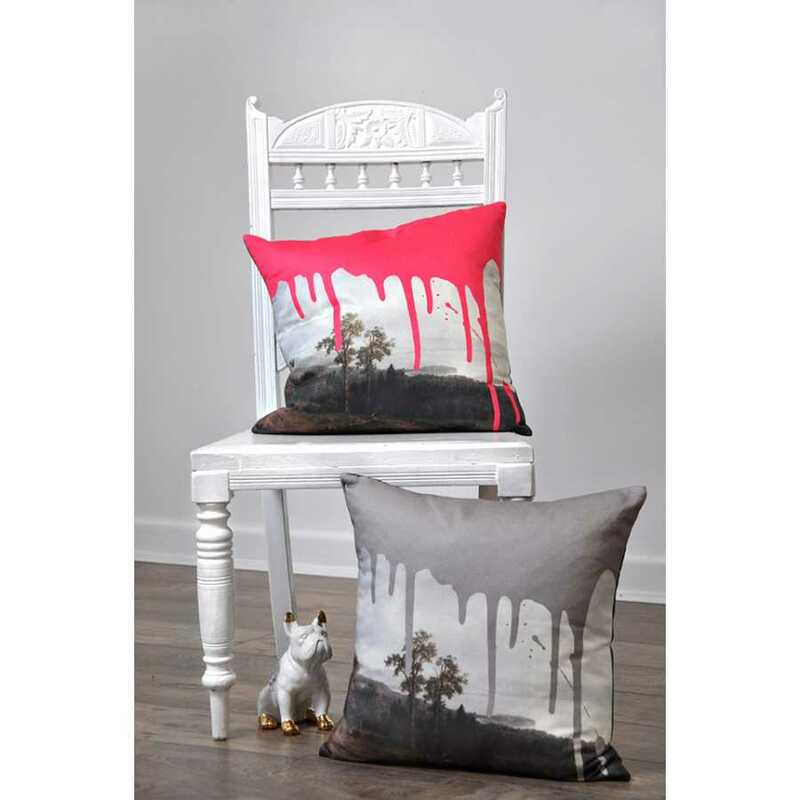 With creative flair and a touch of irreverence that the designers at Mineheart are proud to showcase, this Artistic Cushion is available in a choice of two colours and brings together an interesting combination of mixed media to create a quirky and original piece. Taking something classic and switching it up a little is part of what Mineheart are known for and this cushion is no different. In their own playful way the designers at Mineheart have given a classic woodland landscape a new identity. 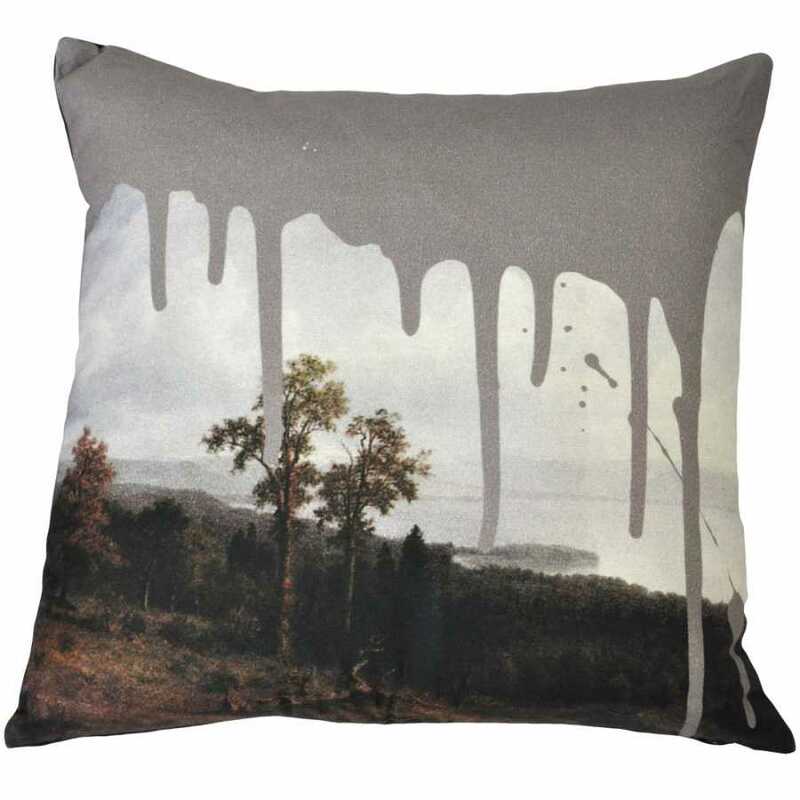 With their own quirky irreverence the scene has been splashed with a bold coating of dripped paint, digitally printed onto the cushion cover, on top of the wooded landscape. Each cushion cover is made from quality Panama Canvas and the filling is soft feathers. Each cushion measures 45cm in height and 45cm in width. The drip which falls casually over the wooded landscape scene is available in either neutral grey or bright, audacious pink and therefore you can choose the style which fits in best with your interior. 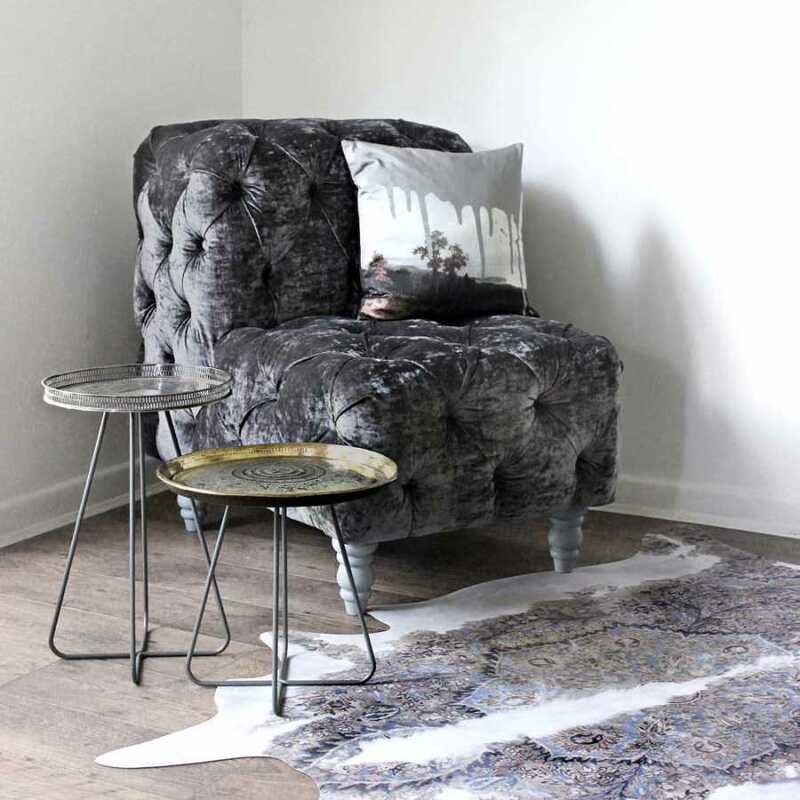 If you would like to find out more about the designers behind this piece and view the rest of their collection please visit our dedicated Mineheart brand page.